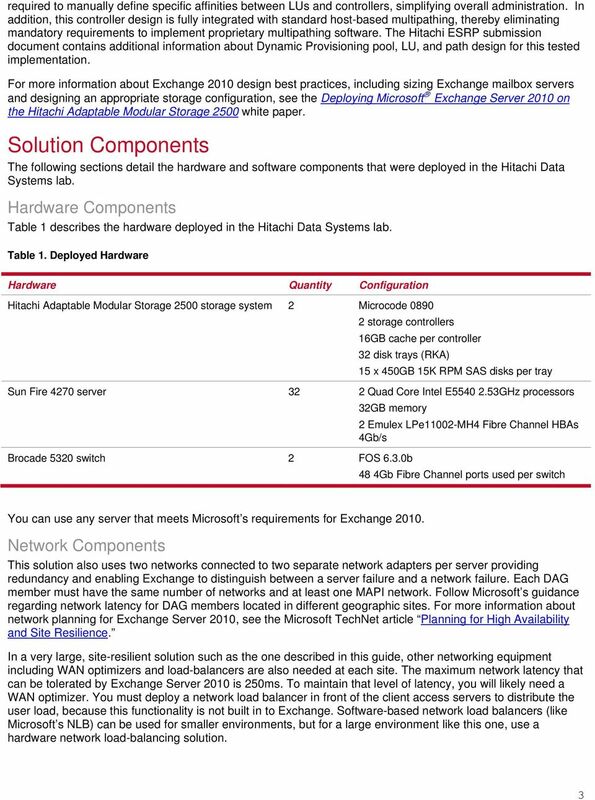 Download "Deploying Microsoft Exchange Server 2010 on the Hitachi Adaptable Modular Storage 2500"
2 Summary IT administrators need solutions that provide data protection and simple management in environmentally friendly data centers. 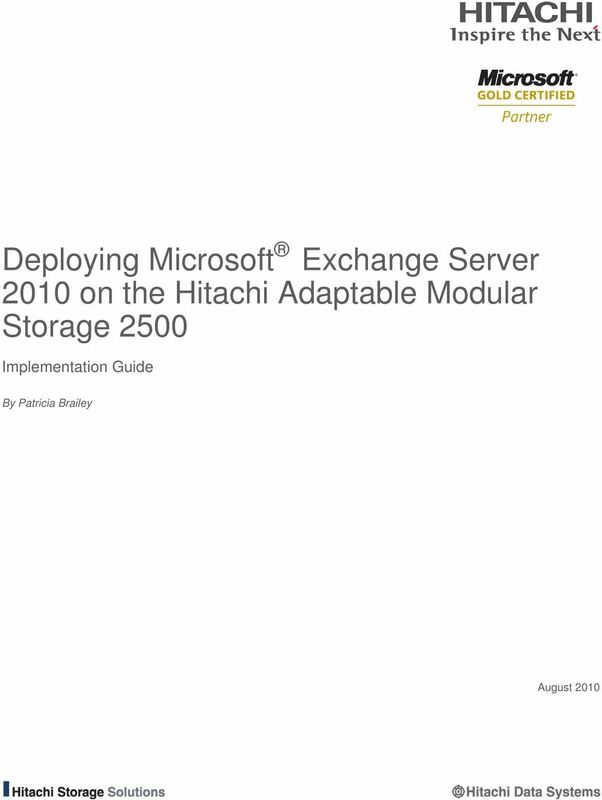 Using Microsoft Exchange Server 2010 with SAN storage like the Hitachi Adaptable Modular Storage 2000 family accomplishes those business-critical objectives. 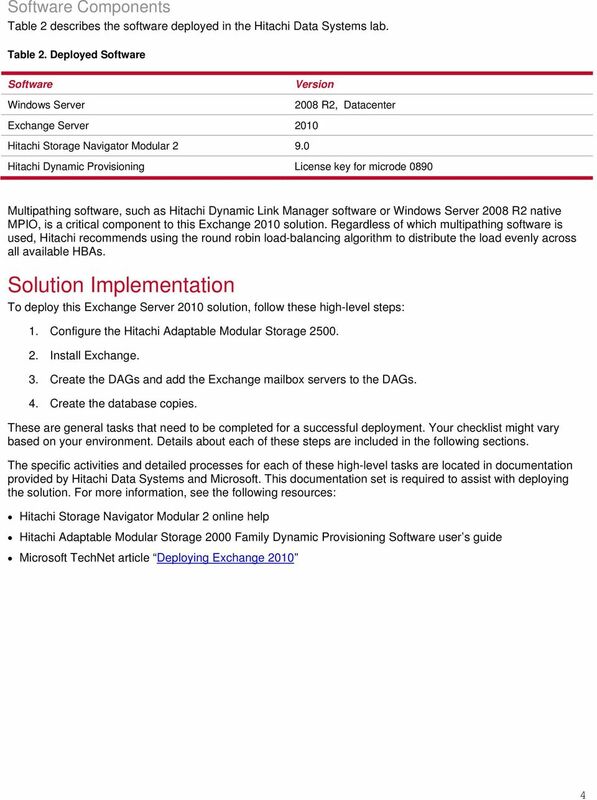 This white paper describes how to implement Exchange Server 2010 with the Hitachi Adaptable Modular Storage 2000 family, thus leveraging changes in Exchange and the advantages of the 2000 family to lower administration costs, improve system efficiency and enable virtualization. 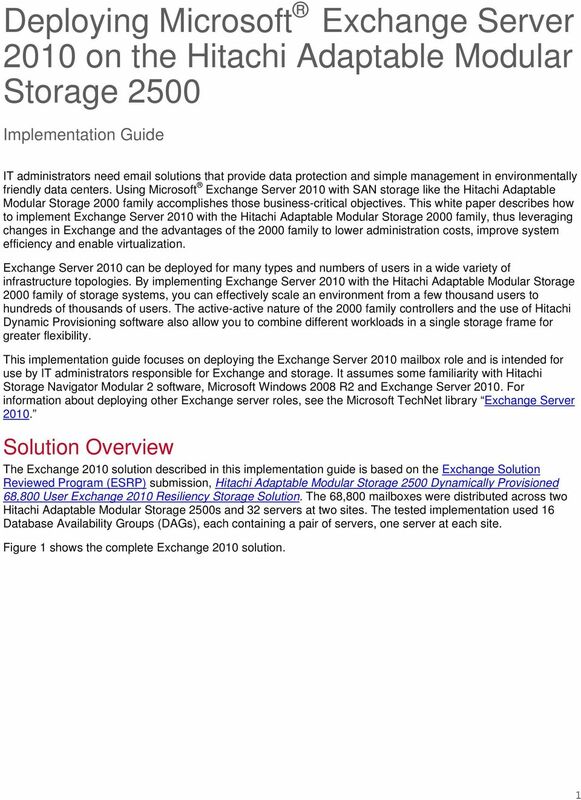 It focuses on deploying the Exchange Server 2010 mailbox role and is intended for use by IT administrators responsible for Exchange and storage. For best results use Acrobat Reader 8.0. 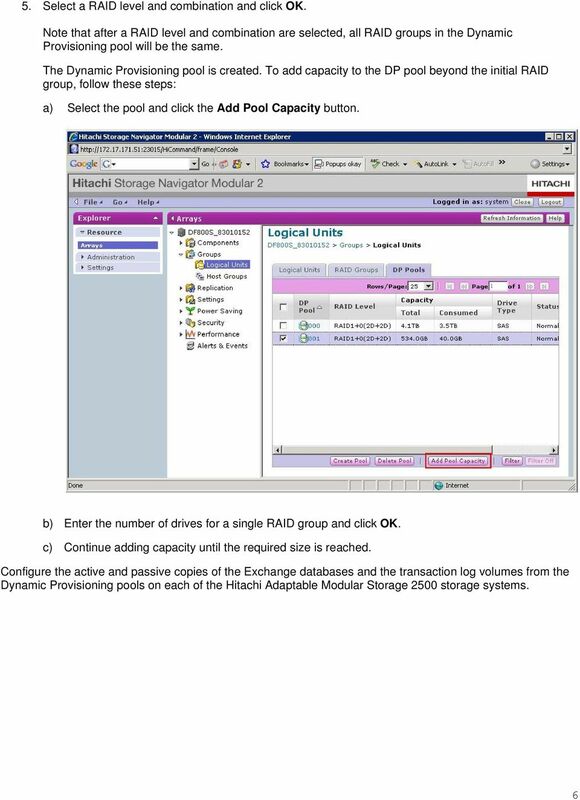 3 Feedback Hitachi Data Systems welcomes your feedback. Please share your thoughts by sending an message to Be sure to include the title of this white paper in your message. 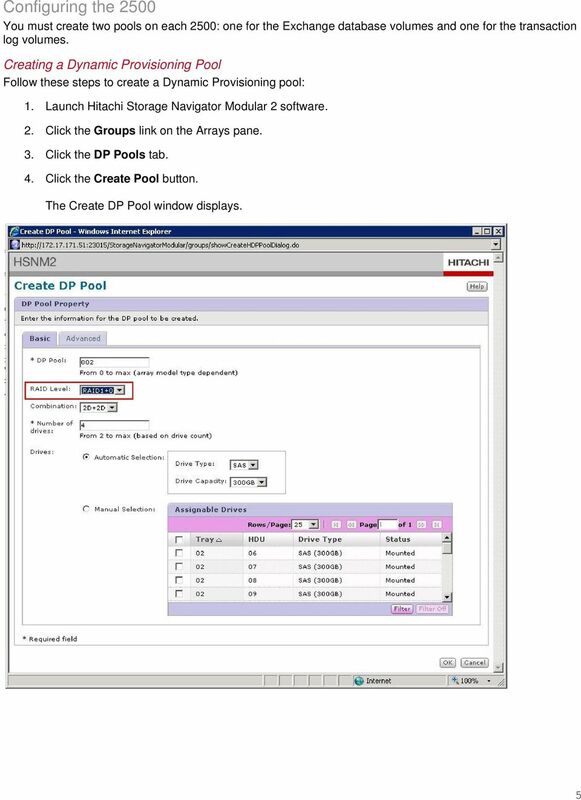 Step-by-Step Guide. 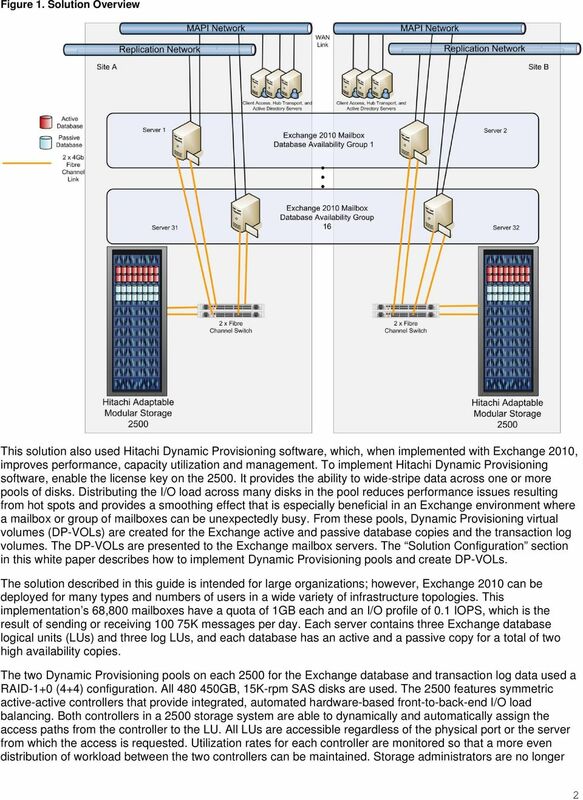 to configure Open-E DSS V7 Active-Active iscsi Failover on Intel Server Systems R2224GZ4GC4. 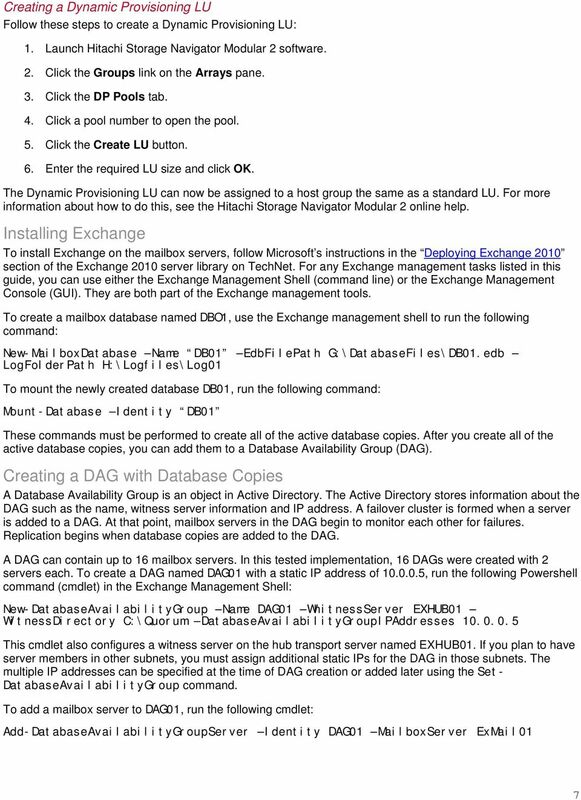 Software Version: DSS ver. 7.